The New Yanagisawa TWO1 range replaces the long standing T901 series. This unlacquered version is a polished raw brass and as such will tarnish within months giving that unlacquered vintage look to the Sax. The unlacquered models tend to play a little brighter than the normal lacquer models as there is no restrictive layer covering the raw brass. The New TWO1 range really does have some major modifications whilst retaining the classic Yanagisawa sound and feel that have made them so popular. 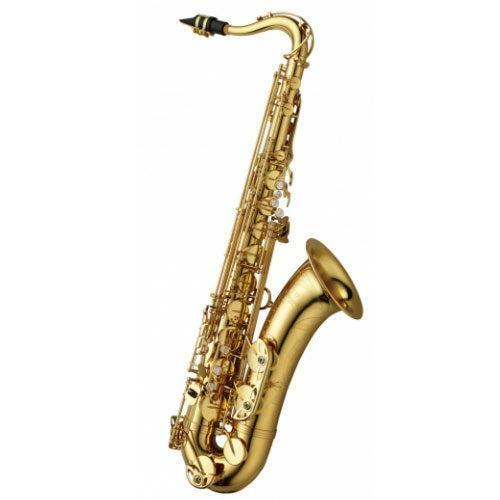 In summary this new Yanagisawa TW series raises the bar for most of the competition and is a serious range of Saxophones to look at for anybody upgrading or wishing to purchase a pro model. The TWO1 and TWO2 have less ribs and plates running down the body than the TWO10 and TWO20, this tends to make them feel a little more lively and responsive but without the same depth of sound.